Get your venue ready for the strike of midnight on New Year’s Eve with our balloon drop bags. This pack is valid for Dublin delivery only Monday – Friday from 8am-5pm. Each pack contains: 1 x 6ft x 3ft Balloon Drop Bag Blown (Balloons Inflated x 50) 1 x Choice of Colors 1 x Delivery in Dublin Only **If installation is required, please contact office directly. Get your venue ready for the strike of midnight on New Year’s Eve with our balloon drop bags. This pack is valid for Dublin delivery only Monday – Friday from 8am-5pm. Each pack contains: 1 x 12ft x 3ft Balloon Drop Bag Blown (Balloons Inflated x 100) 1 x Choice of Colors 1 x in Dublin Only **If installation is required, please contact the office directly. 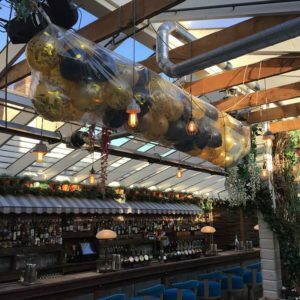 Get your venue ready for the strike of midnight on New Year's Eve with our balloon drop bags. This pack is valid for Dublin delivery only Monday – Friday from 8am-5pm. 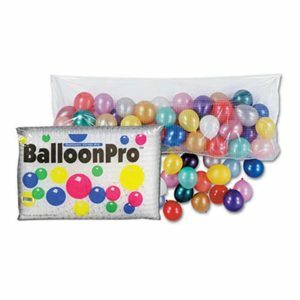 Each pack contains: 1 x 18ft x 3ft Balloon Drop Bag Blown (Balloons inflated x 200) 1 x Choice of Colors 1 x Delivery in Dublin Only **If installation is required, please contact the office before ordering.